Dr. Lara Oboler continues to prove that you can have all you want. With a mission to change lives and help remove stigmas related to common health issues, this interventional cardiologist is the co-founder of two breakthrough companies in healthcare, PregPrep and MD Concepts which produces the natural, clinically-proven Revactin to support male erectile health. 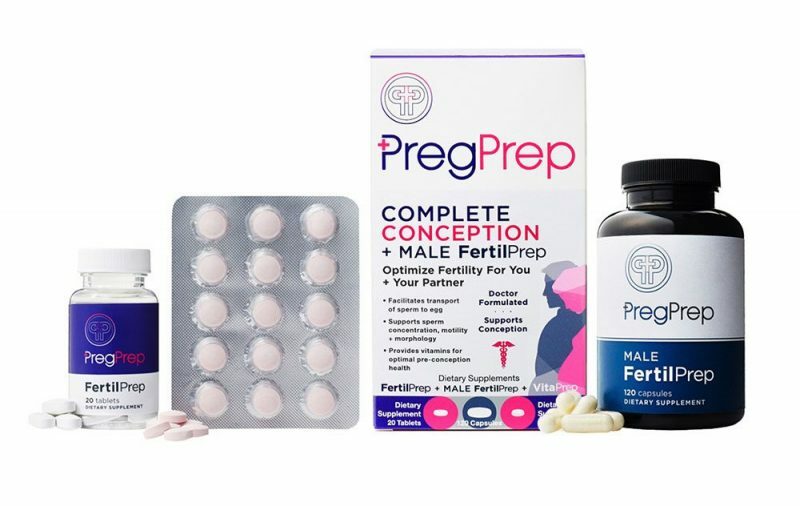 PregPrep is sold in over 17,000 stores nationwide such as CVS and Walgreens, as well as online. With an impressive resume including an MD from George Washington University, this mom of three turned her own pregnancy journey into a thriving business. We caught up with Dr. Oboler to learn more about the inspiration behind PregPrep and her mission to help other doctors bring life changing products to market. Who is Dr. Lara Oboler? Tell us about the two supplements, PregPrep and Revactin, that you’ve helped to create. I am a doctor and a mom and an entrepreneur. I always planned on being a doctor and then decided to be a mom and then an entrepreneur in that order. Since I was a little girl I wanted to follow in my father’s footsteps and save lives. When I became a partner in a medical practice I decided to become a mom. I thought I would have kids right away. I had my husband tested right away and I had a chart so I knew everything that I was supposed to do. I wasn’t getting pregnant and I started to get concerned. I went to see a fertility specialist. I read a book that talked about how to get pregnant quickly by taking cough syrup five days before ovulation. The main premise is that it will break up mucus such as cervical mucus. It had been five months so I started taking cough syrup. I was sitting in the doctor’s office a few weeks later as they prepared to run tests on me. As we were waiting the nurse came in and said, “Stop, you’re pregnant!” The doctor asked me if I had taken a mucolytic. I said, “Yes.” He said that’s why you’re pregnant. I did research and discovered that it wasn’t the actual cough syrup, but the mucolytic. Studies showed that it helps you get pregnant. A light bulb went off and that’s how I started my first company called PregPrep which has been very successful. I had 3 kids using mucolytics. After I was successful with PregPrep, doctors began asking me to help them with their ideas. They had ideas that may help a few people but weren’t good business ideas. I’d met a doctor that invented this natural product that enhances erectile dysfunction (ED). As a cardiologist I work with a lot of patients with ED. A huge population has issues with ED. We developed a natural supplement called Revactin. This product is not for dysfunction, but function. It’s not an FDA approved drug. I am CEO of the company MD Concepts which produces Revactin. It’s exciting to help so many men. There’s a lot of stigma around both infertility and erectile dysfunction. I try to have conversations around both of these subjects. It’s not something you should be ashamed of, it’s a very natural thing. What inspired you to become an interventional cardiologist? What does that entail? Interventional cardiologists specialize in stent and angioplasty. What inspired me to go into that field was my father. He’d done that since I was three. I would go around with my father to the hospital and see patients. People would come up to us and say, “Your father saved my life.” I stayed the course. What was so great was I was lucky enough to work with my father for four years. We both loved working together. We had a great time. Why are you so passionate about the two supplements, REVACTIN and PregPrep? I am really passionate about both of these products and causes because I would love to decrease the stigma around both of these subjects. I want to be able to empower men and women in their own ways. If I can play a small part in helping people feel more comfortable about approaching these issues, I’ve done my job. Why is PregPrep a solution as opposed to taking a traditional mucolytic such as cough syrup? It’s not for infertility, it’s for fertility. If you are not successful getting pregnant it is to nudge nature along. You have to know when to take it and how to take it. There’s no real protocol for cough syrup. PregPrep is formulated with N-Acetylcysteine (NAC) which is a naturally occurring amino acid. It has a protocol. We know how to use it. I wouldn’t tell a woman to take cough syrup to help her get pregnant. Many doctors question the efficacy of fertility supplements since they aren’t FDA approved? How would you respond to critics? I understand that, I am a science driven person. Supplements are a field that is not FDA approved. There are a lot of things that are ineffective. I can point to the studies of NAC being safe and helping women get pregnant. My product may not help, but it won’t hurt you. I don’t want to hurt anyone. I don’t want anyone to get sick. It’s always safest to consult with your physician before starting a supplement. This is not a drug. There is some logic behind it. With Plan B, one of the main ways it works is by thickening cervical mucus. PregPrep has the reverse effect. How should women use PregPrep on their journey to conceive? If women are healthy and doing everything they can – using PregPrep or any other method – is not as important as timing. If you have the wrong timing no matter what you use you will not get pregnant. A woman’s cycle is the first day of her cycle to the first day of her following cycle. Depending on your cycle length you can determine when you are ovulating. The formula is: cycle length – 14 days. So for example – If you have a 24 day cycle you ovulate on day 10. When you ovulate that means the egg is released and will only live 12 to 14 hours. You have to make sure there is sperm waiting for that egg. Sperm lives up to 72 hours. You want to increase the chance of the sperm getting to the egg. PregPrep helps, because we provide a lot of information to help women in their fertility journey. At CEOMOM we believe that moms should not strive for work/life balance but rather rhythm that allows them to prioritize and move with the flow of life. As a mother of three, an entrepreneur and a doctor do you agree that work/life balance is not the goal? Why or why not? I think work/life balance is very important. You’ve heard that you can’t have it all or can’t have it all at the same time. I feel like I do have it all. I have a wonderful family. I have my health. I have companies that work to help people. I love being a doctor. I do believe you can have it all. I feel very lucky. I spend a lot of time with my children. I am a better mother because I am fulfilled with my own projects. I think my kids understand that I may not pick them up from school everyday, but we as a family are very close. We travel a lot together. I don’t want to jinx myself, but I think I do have it all. To learn more about Dr. Lara Oboler and PregPrep visit https://pregprep.com.